Himalayan Overtakes Dominar in Sales; Momentary or Permanent? 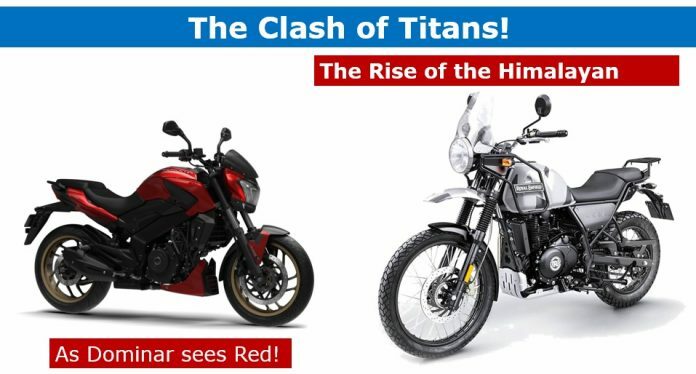 Dominar vs Himalayan sales – Will it be a continuous trend or will Bajaj bounce back with the update…? Both the motorcycles are the talking points over the internet and both are potentially brilliant at very approachable price points. While traditionally, Dominar has had an upper hand in terms of sales but September saw a change – a big one! 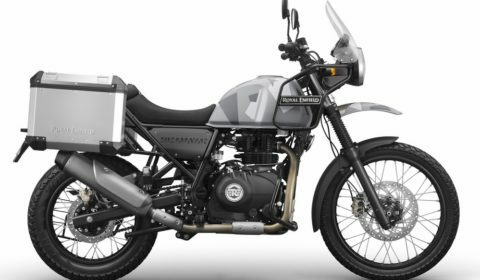 Probably the most troublesome motorcycle of our times, Royal Enfield Himalayan has overtaken Bajaj Dominar in terms of sales for the very first-time. 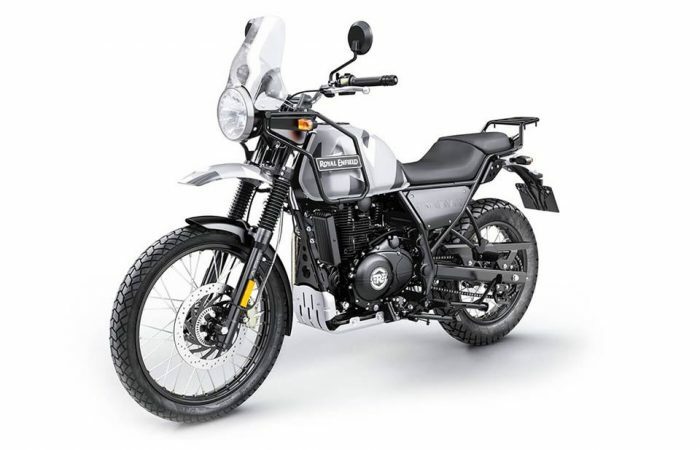 According to the official SIAM sales date, the Chennai based motorcycle maker dispatched 1,140 units of Himalayan in September, 2018. In the same time period Bajaj was able to gross only 1,095 units of Dominar, down from its earlier numbers. 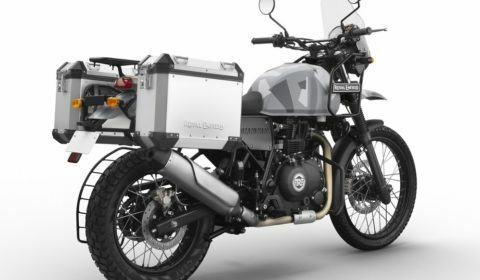 Introduced days before Auto Expo 2016, Royal Enfield Himalayan is the company’s first adventure-oriented motorcycle and was expected to do well for the brand. It boasted of an all-new oil-cooled over head cam engine (first for the brand). While its long travel suspension and 21-inch promised great fun. 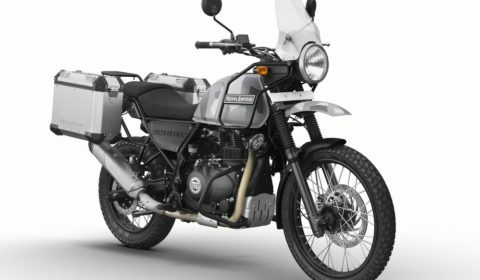 However, after receiving rave reviews from motorcycle scribes and influencers, Himalayan failed to provide Royal Enfield much traction. Himalayan was plagued with manufacturing defects and soon social media channels were full of posts by angry customers. A fuel injected ‘improved’ version of Himalayan was later introduced in the market. Dominar is Bajaj’s most powerful product to date. Offering a lot of bang for the buck, Dominar offers a fuel injected, liquid cooled powerplant which traces its origins to the KTM Duke 390. 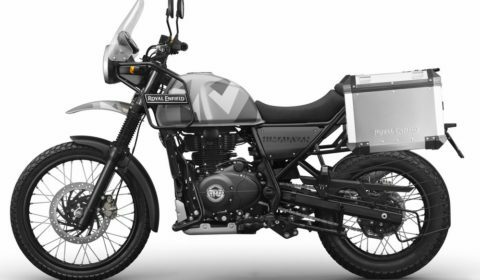 Expecting volumes to go as high as 10,000 units a month, Bajaj introduced a marketing campaign which targeted Royal Enfield motorcycles. What followed were constant social media fights for fans of both the manufacturers. Incidentally, even the ‘hyperriding’ Dominar has been trying hard to get the volumes up and has averaged a little over thousand units this financial year. So, how will it pan out? Bajaj has another card up its sleeves. The manufacturer is gearing up to introduce an update for Dominar. Spy images have suggested that 2019 Bajaj Dominar will be fitted with upside down forks up front and a new double barrel exhaust apart from other changes. Hence, the recent slump could be because Bajaj is readying up the launch soon! 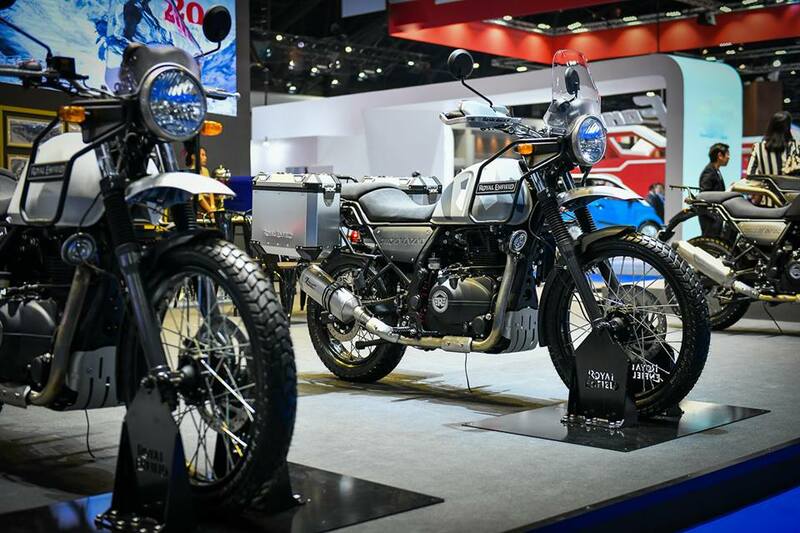 What Has Royal Enfield Teased Here?